The principles of manuring are the same whatever the production system. Organic and non-organic farming have many common objectives and are working with the same basic resources. It is unfortunate that promotion and advocacy of the different systems emphasises differences and encourages conflict. The objectives of organic production as stated by the Soil Association for example are:- the operation of a sustainable relationship between the health of soil, plants, animals, people and the biosphere to produce healthy food whilst protecting and enhancing the environment. to use other specific materials when extreme need arises. Feeding the soil rather than the plant. 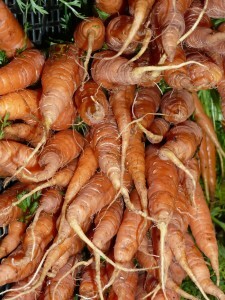 For phosphate and potash these also represent the aims of non-organic farmers. Nutrients from manures are taken into account when deciding fertiliser use; phosphate and potash are applied to replace the nutrients removed in the crop in order to maintain soil fertility and nutrient status. The main difference between an organic and non-organic approach is seen with nitrogen which, although taken up by the plant principally as nitrate in both systems, has different emphasis on sourcing. Organic systems rely on soil, manure and legume N, rather than supplementing these with purchased fertiliser N.
All systems need to pay careful attention to minimising nutrient losses for both financial and environmental reasons. 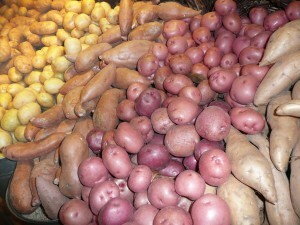 With organic systems, emphasis is also placed on maximising root and biological activity in the soil but the importance of such principles is also recognised by non-organic farmers – for example even the most intensive potato growers prepare deep beds of well structured soil to maximise rooting and soil exploration. 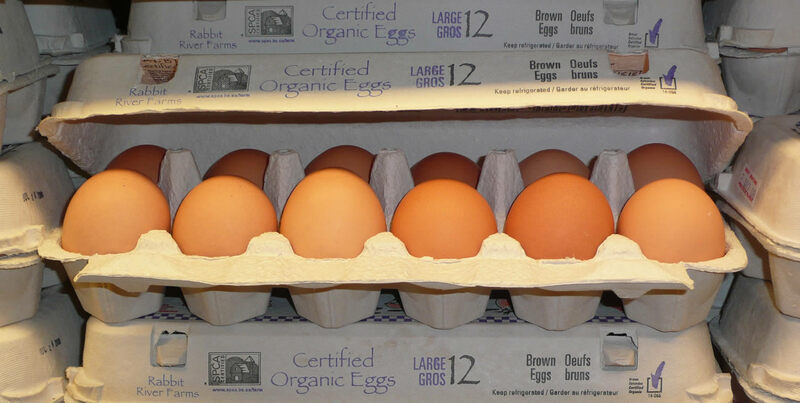 Organic standards favour the use of natural, untreated products, which limits the available range of nutrient sources. Non-organic farmers may normally be influenced more by the cost of materials but this often reflects the degree of processing, energy inputs, transport and convenience. 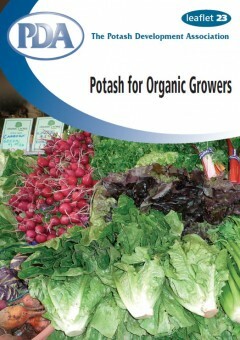 Potash is found in plant-available form as potassium (K) salts such as potassium chloride, sulphate, nitrate etc. These natural deposits are generally the result of the drying out of seas millions of years ago. In soils and plants these salts, which are all water soluble, separate into the potassium cation K+ and the relevant anion Cl–, SO42-, NO3– etc. 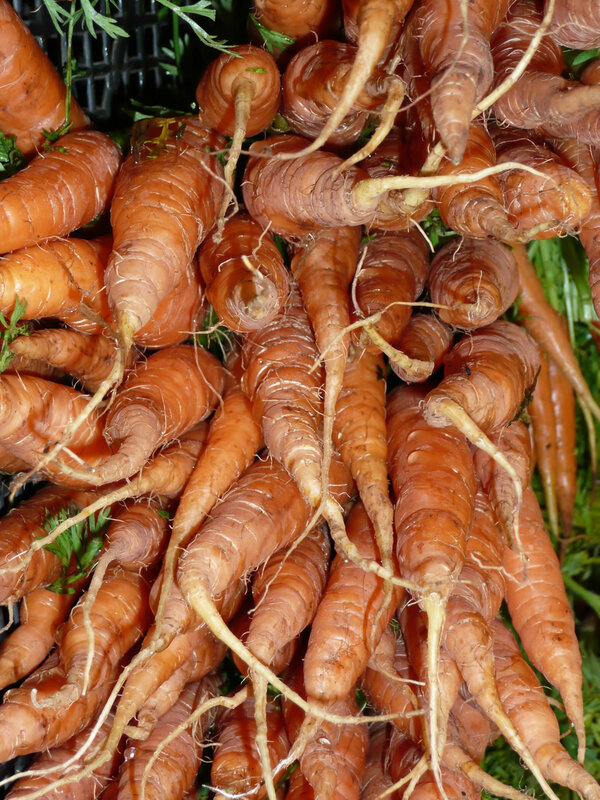 Potash in manures is also mainly (70-90%) in water soluble form, with a small amount bound into the organic material which is released into the soil solution as the organic matter is mineralised. Potash from manures thus behaves in the potash cycle shown below in a similar manner to fertiliser potash. Potassium is not associated with any environmental or health concerns. None of the forms of these materials produce harmful effects unless they are used incorrectly. As with other nutrients, farmers should use all potash sources with care and responsibility whatever the farming system. Exchangeable K, which is determined by routine soil analysis, is the K that is most readily available for uptake by roots. It is the K in the soil solution and in the ‘readily available’ pool. Sources of potash to the plant are indicated in the diagram. They include small amounts from rain, generally less than 5 kg/ha/year. Some K is lost by drainage from soil and studies indicate for most soils this loss is approximately 1 kg K for every 100 mm of through drainage. Potassium loss is higher from dung and urine patches after grazing because of the very high concentrations in these areas. Uneven or large applications of slurry or FYM can also lead to greater loss than from correctly managed fertiliser or manure. Manures contain useful amounts of potash depending upon the type of livestock and litter/straw (if any) from which they are derived (see PDA Leaflet ‘Nutrient Contents of Manures‘). Potassium from these sources behaves in the same way in the soil as from fertiliser. Methods of manure storage are also important as K losses can be considerable – up to 50%. Unless imported from another farm, manures only recycle nutrients within the farm and do not replace nutrient which is removed in the products sold. It is the soil itself which supplies the crop with nutrients and additions of fertiliser or manure are made to replenish these soil reserves. Most soils contain very large quantities of potassium – up to 100 t/ha – but most of this is not available to the plant. Plants take up potassium (as K+) from the soil solution which contains only small quantities – less than 20 kg/ha K. As plants take up K+ from the soil solution it is replenished by the release of K+ held by the clay in the soil (clay minerals are negatively charged and thus attract and hold the positively charged cations – potassium, calcium, magnesium, sodium etc.). Depending upon how strongly it is bonded to the clay, K+ may be released rapidly (exchangeable K), slowly (less readily available K) or by weathering over long periods of time (very slowly available K [also known as matrix K]). Careful cultivation, conservation of organic matter and improvement of biological activity will maximise the total availability of potassium from all these sources according to the individual nature of each specific soil. Even under ideal management however, the natural release of potassium is unlikely to be sufficient to maintain the necessary available nutrient levels in the soil and extra supplementation from the sources listed below will be required. Routine soil analysis measures the potassium in the soil solution plus the exchangeable K. Unfortunately it is difficult to measure or predict the release of less readily available K.
Whilst all the ‘pools’ are shown separately in the diagram on the previous page, in the living soil there are no sharp divisions and the entire system is dynamic with potassium becoming more or less available according to many varying factors. Soil analysis provides the best practical guide to the adequacy of reserves of available nutrient for plant growth, and to any need for nutrient supplementation (see PDA Leaflet 24: ‘Soil Analysis, Key to Nutrient Management Planning’). All systems of production should maintain an adequate supply of potassium available to the plant. Nutrient management must balance inputs with outputs and losses. to promote biological activity in the soil. Additions of potash in fertilisers or manures must be given to replace that removed by cropping. Failure to do so will affect crop performance and is not sustainable management. Sandy soils with low clay content will be most rapidly affected. If soil analysis shows exchangeable K levels to be sufficiently high, fertilisers and manures should be reduced or omitted (see PDA Leaflet 8: ‘Principles of Potash Use’). On some heavy soils the release of potassium from less readily available reserves is sufficient to provide the needs of combinable crops without other additions, but on most soils, and where high demand crops such as roots and forage crops are grown, additional potash will need to be applied in order to maintain soil K reserves and to replace removal in harvested crops. There is increasing evidence that an adequate potash supply will help reduce crop stress caused by drought, chilling, high light intensity, heat and deficiencies of other nutrients. These stresses can result in oxidative damage to the plant from ‘reactive oxygen species’ (ROS) free radicals, and production of these damaging ROS can be greatly reduced by a satisfactory potassium status in the plant. Potassium plays a crucial role in maintaining the general health of the plant. If potash is limiting, response to nitrogen will be reduced, N-fixing bacteria will be less active in legumes and crop health, vigour, and resistance to stress will suffer. Such aspects are of particular importance in organic production where natural resistance through balanced nutrition is an integral aspect of overall husbandry in the absence of agro-chemical protection. Potassium is very involved with the water relations in the plant and a deficiency will be especially serious under dry conditions. The main reserves of potash in the world are in the clay minerals of the soils and rocks, in the water of the oceans and in the rock salt deposits containing the crystallised minerals from long dried up seas. Potassium salts, principally chloride, sulphate and nitrate derived from these evaporite rocks (and from salt pans which are in current use in certain parts of the world), are the most common forms of fertiliser potash – all of these being naturally water soluble. Perhaps the oldest form of potash fertiliser is wood ash but supplies of this material are obviously no longer practical nor sustainable. Various process wastes containing potassium (such as lime kiln dusts) have been considered as sources of K but these vary in K availability, can contain undesirable contamination and suffer from irregularity of supply. Finely ground primary soil minerals, for example feldspars, are offered as ‘rock potash’ fertiliser but the plant-availability of the potassium in such materials depends on the origin and the mineralogy of the parent material. It is possible, as with matrix K in soils, for a material to contain K but not to release it except over a geological timescale. Green wastes, composts and other waste materials are increasingly becoming available as alternative potash sources. Animal feeds and bedding bought onto farm also represent a significant supply of the nutrient. Whenever you are planning to use a restricted material you should consult your Certification Body. You may need prior permission and this will also ensure you do not apply a material that is not allowed. Solubility. Most potash sources – manures and fertiliser forms – are soluble and rapidly add K to soil solution. However despite its natural solubility, potassium applied at appropriate rates is not leached from soils as some other nutrients such as nitrogen or sulphur can be. Chloride content is included because it has been suggested to be undesirable on the basis that some plant species are more sensitive to high Cl– levels than others. It has also been asserted that excess chloride may be deleterious to micro-organisms and earthworms, but no experimental evidence has been found to support this, at agronomic rates of application. Chloride (Cl–), which occurs in rainfall, fertilisers and manures, is an essential plant nutrient and must not be confused with chlorine gas, hypochlorite used as a sterilant, or other forms which do not occur in soils or plants. The quantity of chloride applied in fertilisers will usually be less than that deposited by rain and salt spray in coastal areas. * Manures from non-organic but extensively run holdings. Around 90% of total K2O immediately available. Sustainable, natural, not manufactured materials. Also provides organic matter and other nutrients. Wood products not chemically treated after felling (ash, sawdust, bark). Variable, low potash content 1-7% K2O. 60-90% of total K2O immediately available. Also contain some other nutrients. Straw (Own or imported from any other farm only for bedding purposes). Variable, low potash content 1-2% K2O. 60% of total K2O immediately available. Also provides some organic matter and limited other nutrients. * Kali vinasse (Imported by-product from sugar beet molasses industry). Up to 40% K2O as K2SO4. Also contains SO3 and traces of other nutrients. Totally soluble. Nil chloride. Fine powder. 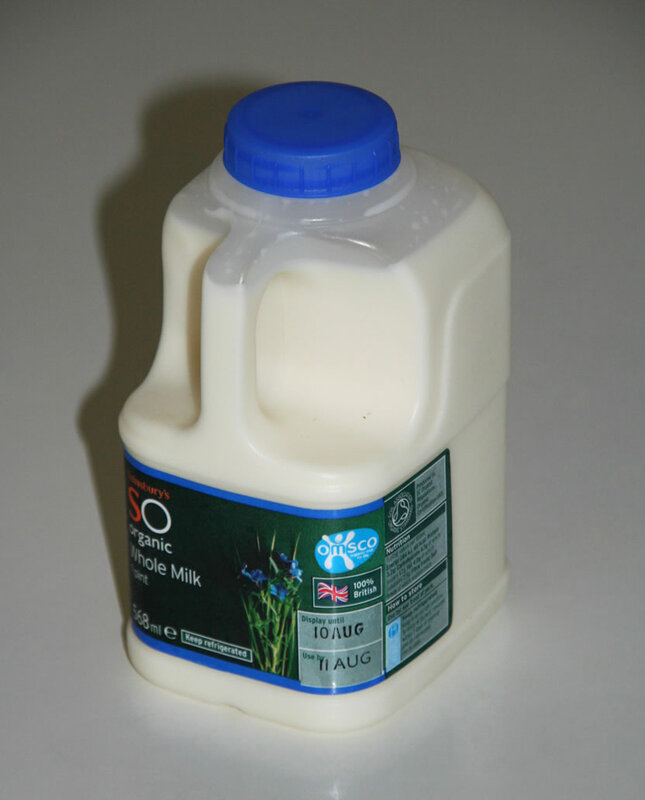 containing 30% K2O with other nutrients. * Composts free from prohibited materials. * Seaweed and seaweed products; low K2O content. * Highland potash marketed by Glenside Organics. Adularian shale feldspar mined in Scotland. Total K content 9-11% K2O. Very limited plant-availability by conventional measurement. ** Sylvinite produced by Cleveland Potash Ltd.
Natural, mined, crushed and screened UK product. Contains NaCl + KCl and some trace elements. ** Magnesia-kainit marketed by Potash Ltd.
11% K2O soluble salt, also known as magnesia-kainit. Natural, mined, crushed and screened imported product. Also contains 27% Na2O, 10% SO3 and 5% MgO. Imported processed or manufactured product. Easily spread 1.6-4 mm high quality granulated imported product. * Permitted where need is recognised by the inspection body. less than 20% clay at K index 1 and on all soils at K index 0. Manures from intensive non-organic units. Muriate of potash (MOP), potassium chloride, KCl. Natural mined, crushed, separated, compacted and screened product. Easily spread 2.6 – 4 mm high quality compacted granular product. e.g. 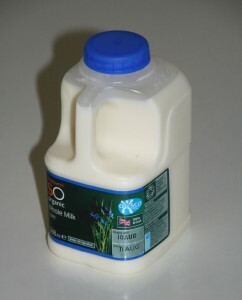 ‘Fibrophos’ marketed by John Hatcher & Co Ltd.
Also contains useful levels of phosphate and a range of other nutrients. This material is allowable where it is derived from litter from organic production units. Compounds, blends, solution and suspension fertilisers. Prohibited where they contain other prohibited materials. The correct approach for both organic and non-organic systems is to monitor soil fertility every 4-5 years by soil analysis and by drawing up a nutrient balance calculation- this will not only demonstrate good practice, but will provide evidence to justify the use of restricted materials, if necessary. Allocation of manures and use of fertiliser materials should be undertaken to maintain available soil potassium (and similarly phosphate) appropriate for the crops being grown (see PDA Leaflet 8: ‘Principles of Potash Use‘). Where soil potassium (and phosphate) status is satisfactory, nutrient policy should simply be to replace nutrients removed, using estimates based on the standard offtake data (see PDA Leaflet: ‘Phosphate and Potash Removal by Crops‘). It should be noted that even the most efficient storage and recycling of organic manures may not provide adequate replacement because of the export of nutrients in products sold off the farm and retention of some of the applied nutrient in non-available reserves.